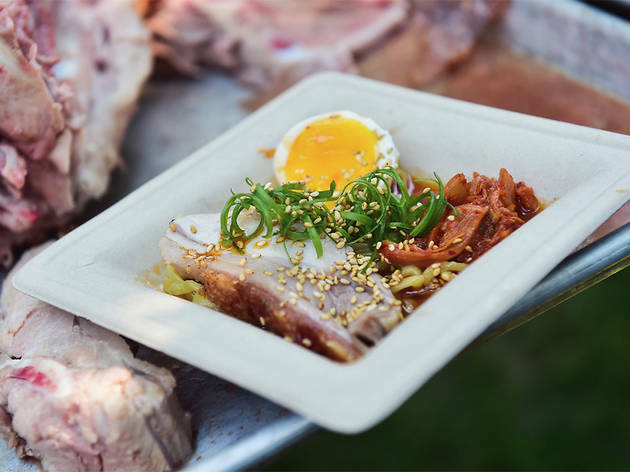 Inspired by global grilling traditions and in support of heritage breed farming, Cochon555’s Heritage Fire is a decadent and delicious event. 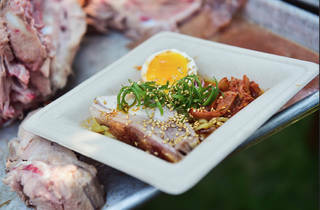 Dozens of top chefs from around the country and the Americas build their own fires and roast everything from whole lamb, goats, pigs and ducks, to foie gras, sturgeon, clams and heirloom vegetables in a beautiful vineyard setting. Over 3000+ pounds of meats from family farms are cooked, with endless helpings of artisan cheeses, charcuterie, a pop-up ramen bar, free-flow boutique wines from around the globe, micro brews and more.